The BMW vehicle has stood the test of time and continues to make a name for itself even among todays modern luxury automobiles. 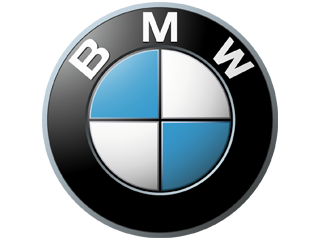 Bayerische Motoren Werke (BMW), better know as the Bavarian Motor Works in English, began production on their automobiles and motorcycle business in 1916. They are headquartered in Munich, Germany and have had immense success since their beginning. Their numbered model systems include the BMW 327, 328, 502, 503, 507 and the beautiful BMW Isetta. All of these luxury vehicles are very versatile and have super precise handling, making them great for the car lover anywhere. BMW is one of the best-selling luxury automaker in the world and they stand fervently by their product. It is also the parent company of the world famous Rolls-Royce Motor Cars Company, which has produced luxury vehicles for over a century. Looking to purchase a classic BMW? If you are interested in picking up one of BMWs luxury vehicles, look no further than the experts at the Beverly Hills Car Club. Their extensive showroom showcases a plethora of classic BMW vehicles. If youre looking to find a specific make or model, the Beverly Hills Car Club can complete the search for you and find you the BMW vehicle of your dreams. The friendly and knowledgeable staff at the showroom can help guide you to the classic BMW that fits your needs. They will ensure that the vehicle is in good working condition and is up-to-date on all maintenance before it leaves the showroom. In addition, the Beverly Hills Car Club will even allow you to take your vehicle to a mechanic of your choice to be inspected before purchase. If you happen to be near the Los Angeles area, feel free to come take a look at the showroom and start your search for the perfect BMW today! Staff are ready and willing to help you whenever necessary and are eagerly awaiting your arrival! We Also Buy Classic BMW New Class In Any Condition, Top Dollar Paid.